Resources – Little Hearts Family Group Inc.
www.etsy.com/shop/fashiontubies – Fashion pads for g-tubes. 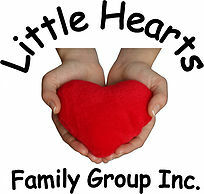 The Little Hearts Family Group supports families in the province emotionally with peer support and mentorship, helps to raise awareness, shares information and advocates for quality care of children with acquired or congenital heart conditions in our province. The Family Group does not deal with the financial needs of families or the Pediatric Cardiology department. The Mending Hearts Fund of Saskatchewan picks up this piece of the puzzle by raising funds to support pediatric cardiology in the province.